In true National Geographic style, this book is filed with photographs and interesting facts and asides. 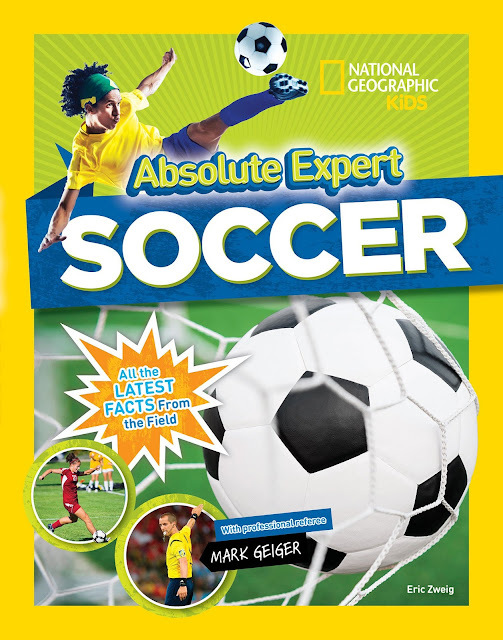 Mark Geiger is a Major League Soccer referee so as a contributor the reader is learning rules and facts first hand. The book covers the history of soccer from around the world and includes how soccer got its name. It talks about the sport and positions. It also includes information about the various soccer (or football) associations around the world and there is a section on women's soccer as well. It even explains how the World Cup works. There are also fun little trivia areas throughout the book to give the reader a chance to think about and learn more about the sport. It is a fun book and is perfect for any soccer enthusiast or player. Our second book is a hilariouos book from Alex Bellos and Ben Lyttleton. It is Soccer School: Where Soccer Rules the World. It is recommended for ages 7 to 10. 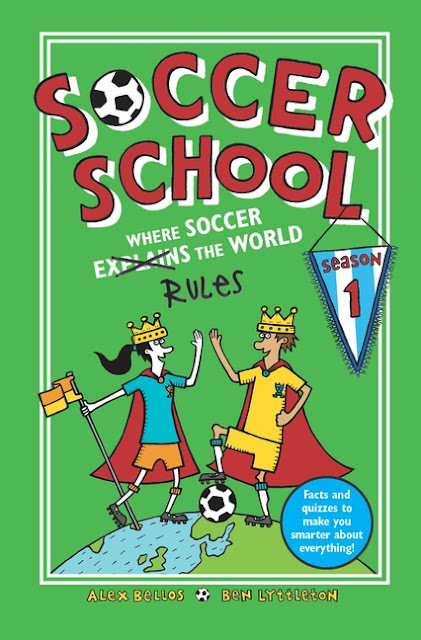 This book bases school lessons all around soccer. It covers topics in soccer, zoology, English, math, physcial education, history, psychology, design technology, geography, drama, philosophy, photography, business studies, fashion, computer science, political science, music, and physics. They find a way to share fun facts about soccer and soccer players that go along with these subjects and the manner of the "lessons" is hilarious. Each chapter ends with a quiz as well as a funny star student. This book is very entertaining and I could see a young reader loving it. 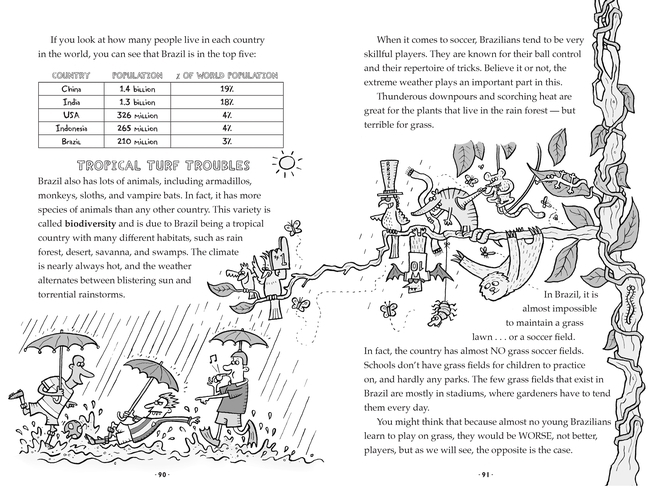 There are illustrations throughout the book making it an easy read. It will have you and your child laughing to learn about these serious topics in this humorous manner having to do with soccer. I know some second graders who will go crazy for this book. 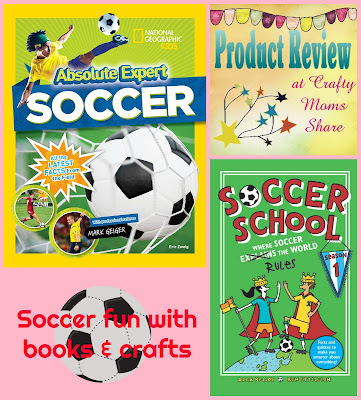 I hope you will check out these fun soccer books and be sure to check out our other soccer posts including books and more. 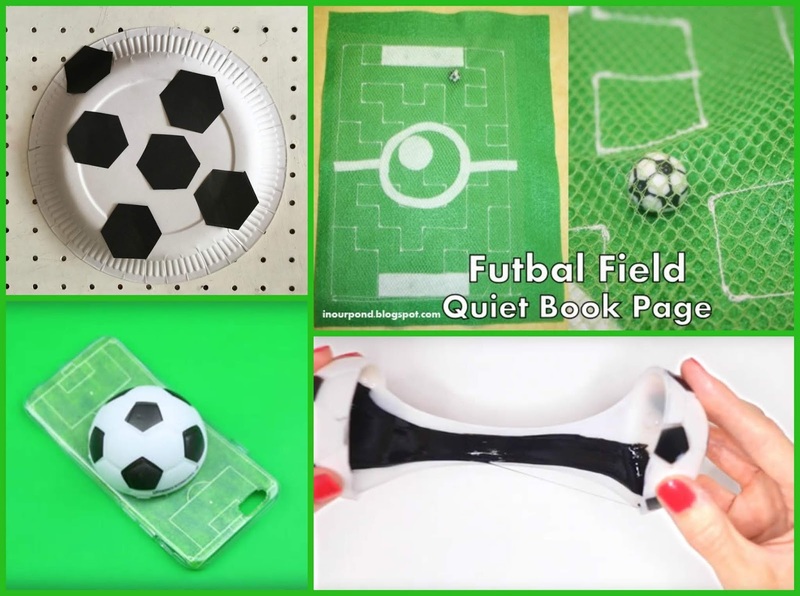 Since soccer is such a popular sport, I knew there would be some soccer crafts out there. I asked my fellow Kid Blogger Network friends to share their soccer crafts and here is what I received.